Are you think to start an e-Commerce business? That’s awesome! E-commerce is spreading more and more widely and is an amazing opportunity for new entrepreneurs. Once you define what you sell, to who and for how much, you can start with building your e-Commerce website. The first option leaves you full control over your products, the design and the functionality of your website, but on the other hand, you need to have a lot of programming skills and you need to be able to implement all the tools you need to run your business, without the help of any app or plugin. On the other hand, you can use a CMS platform to create your e-Commerce, in this case, the most used ones are Shopify and WooCommerce. Shopify, with its 500.000 vendors and around 45 billion dollars revenue, allows you to create an online shop with your own URL. Shopify offers you apps for marketing, accounting, shipping and many more features. But your shop is an independent business from Shopify, so you are the owners and responsible for your activity. People choose WordPress platform because is fully customizable and it has free pricing. Indeed WooCommerce can grow with your business, this means that it can provide a fast and responsive eCommerce experience for online stores of all sizes. 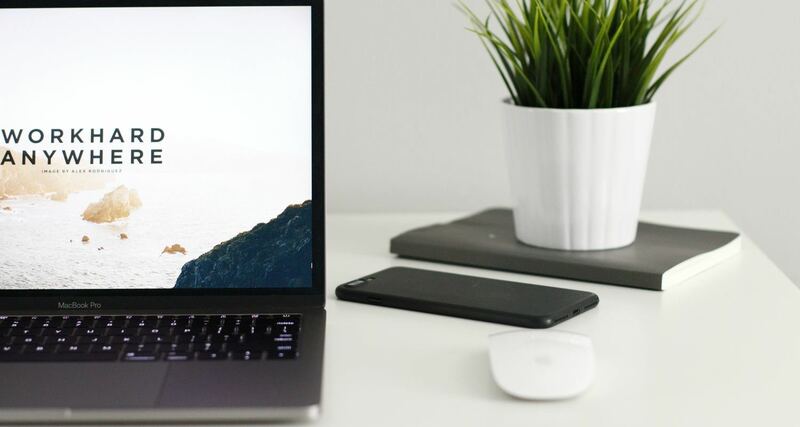 In addition, its functionalities allow you to connect an online shop with your blog in order to create more attention to your site and to drive traffic toward the store. WooCommerce payment system also ensures maximum security for customers. If you are wondering how to start a dropshipping business on WooCommerce, follow our advice to set up a WooCommerce shop and transform it into a dropshipping store. To start your WooCommerce Dropshipping business, first, you need to install WordPress. Click on: WordPress.org and then install it by following these instructions. Then, download the WooCommerce plugin from the WooCommerce homepage, or go to your WordPress dashboard and navigate to Plugins. 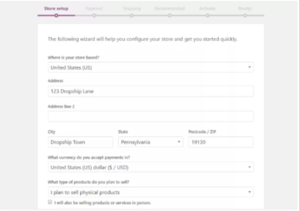 To create your store, follow the quick-setup wizard that helps you to set it up. Now your WooCommerce Dropshipping store is ready! So you can start customizing your shop. Choose your theme carefully. Your theme talks to your audience about you, your company vision and your products. Do not forget to combine aesthetic and usability! Now that you built your WooCommerce store, it’s time to start your successful dropshipping business. If you already define your niche, your company vision and products you want to sell online, you need to find and contact suppliers. There are some options to dropship and source products. Running a dropshipping business in a “traditional way” means you need to find suppliers, define a commercial agreement, a fulfillment order process and a shipping method to deliver your items. This method gives you the chance to buy stock and private label your products but there are many drawbacks: find a good and reliable supplier sometimes is an adventure, first because dropshipping suppliers are not so good to market themselves to their audience. Another thing to consider is that most manufacturers are based in China and other non-English language native Countries, so the language barrier could stop your commercial relationship. When you find a company that provides goods, you need to order samples to verify the whole service, that includes quality, shipping times, packaging and all the supplier-related questions that you may have. What you receive is what your customers will buy on your store, you can’t compromise your reputation. If everything is ok with it, you will define with your supplier how to fulfill your orders. The order fulfillment process is a hassle, especially if you need to send orders one by one. Most of the time you need to fill excel files with all your orders details and then send to your suppliers. You will lose lots of time that you could spend on sales and promotion! You can use the traditional source we mention above, or you can rely on some specific dropshipping software, designed to connect your store with Chinese famous eCommerce, like Aliexpress. They allow you to import products and sell them on your store with a margin. This system is easy and fast but there are many drawbacks like: you buy products at B2C price, from a store that already sell products to final customers, so if a user is smart enough, he can find the same product on Aliexpress for a cheaper price. These apps are only a connection between your store and Aliexpress and they don’t take any responsibilities for products conformity, shipping lateness etc. Aliexpress also is only a platform, where other companies sell their products, so even they don’t guarantee in anyway product conformity, or shipping timing, so if you have any troubles with your orders you have to contact the Chinese supplier, and as you know, it is not so easy. you can’t control you shipping timing. So how to choose between the traditional dropshipping and the dropshipping plugin? Maybe you are thinking of using both? We want to give you another option: Yakkyofy. To run a successful dropshipping business you need to focus on sales and promotions and to spend time creating aggressive marketing campaigns. All the sourcing and logistics issues that you need to face with the two methods explained above, only keep apart from your core activities but with Yakkyofy this will not happen anymore. Yakkyofy offers you, an all in one solution software, that integrates into the same dashboard all the services of a dropshipping app with all the solutions of a traditional partner in China. And you know what? It’s completely free. Yakkyofy will be your single point of contact. We’ll source your products, so you don’t need to worry about finding and contacting manufacturers. We will do it for you! With Yakkyofy manage and automate the whole order fulfillment process will be very easy. We’ll receive and start processing your order as soon as they arrive on your store and at the same time, you can check on your dashboard your tracking number once your order is fulfilled. With Yakkyofy you can import products you have already seen on Alibaba, Aliexpress, Wish, Gearbeat and Bangood with our Chrome Extension and ask quotations. We directly source the items from the suppliers so you can get prices 15-50% lower than Chinese marketplaces. We also guarantee the physical attribute of your products. If your customers receive an item different or damaged, we will ask you to send us a photo or a video and we will reship a new one. With Yakkyofy you can fast ship items worldwide. With our fast and shipping method, we will deliver your items within 3-12 working days in North America and most of the European Countries. Yakkyofy allows you to private label your products, personalizes your packages and you can keep them in our warehouse for free, ready to be delivered to your customers. Connect Yakkyofy to your WooCommerce store is very easy. Once you sign up on Yakkyofy, just click on “connect my store” button on your dashboard and chose WooCommerce. Then you need to insert your Woocommerce Store URL, and choose the currency. If you have multiple WooCommerce stores, don’t worry, Yakkyofy allows you to connect multiple shops to the same account. Now you can start to import products. How to do it? You can choose between the products on our catalog and the ones you requested with the Yakkyofy Chrome Extension. As soon as you import your first product, all the orders related to that item will be automatically imported in the Yakkyofy dashboard, ready to be paid with only one transaction. And if you need to cancel an order? On your WooCommerce dropshipping store you can cancel an order only if it is still in processing status by click on the order tab and select the order that you want to cancel. Move the status from processing to “cancel” or to “refunded” and the order will be automatically canceled also on your Yakkyofy Dashboard and your money will be refunded in your eWallet. Now you have all the information, you are ready to make money with your WooCommerce dropshipping store. What are you waiting for? Start building your business by register a free account on Yakkyofy. Do you want to build a WooCommerce Dropshipping store and you don’t know how to do it? Give a look to our guide to learn how to do it step by step. Affiliate Marketing vs Dropshipping: Can You Combine the Two?